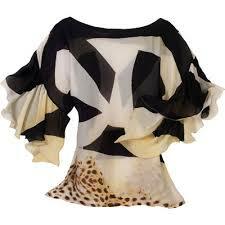 Chiffon is a fabric made up from silk, cotton, nylon, polyester or rayon. The cloth brings sudden change and limelight in your personality. Chiffon is derived from French word for a cloth or rag, it is lightweight, balanced plain-woven sheer fabric woven of alternate crepe yarns. It resembles a fine net or mesh which gives chiffon some see-through properties. Chiffon is very light and thin fabric, it mainly used for making woman’s dresses. Dress made by chiffon fabric gives us slim and gorgeous look. It makes our appearance very elegant chiffon cloths are always in the fashion like we see the celebrities also prefer the chiffon saree for their glamorous look. This fabric is high on demand these days. This fabric is generally use in evening and formal wear mostly in summer. In summer season chiffon dresses gives us cool look, it can be wear in any occasion. Varieties of dress made by chiffon fabric are saree, dupatta, top, shirt, skirt, scarf, middies, gown and many others. 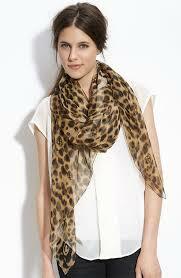 The chiffon is printed and plain, colorful scarf are can be drape in many style it adds dynamic look on us. Real silk chiffon is the most precious since it has a rich shimmer and silk texture. It is also used to make Georgette, sometimes called crape, a thick and very smooth fabric that drapes and behaves like chiffon. The chiffon needs to be dry clean. Chiffon clothes are little difficult to handle because it is thin, delicate also slippery like silk .We can make the dresses little easier to wear by starching them. Characteristics of chiffon fabric are transparency, light weighted and simplicity of weaving pattern. Now a days this fabric is available in many colors and printed also which look very trendy and adds good appearance .women are found of this fabric they like ,saree ,,skirts ,duppata ,scarf, shirts ,night gown ,middies because they look slim and extremely perfect in it. Both the thin and fatty women can wear this fabric because it has fine mesh-like weave that gives it transparent and fragile appearance to us. The chiffon fabric are used for making dresses in all countries no matter the weather is cool or hot it is always in the fashion .Generally women are like wedding gown made by this fabric and dresses which adds cheerful look to their dressing. Chiffon is a nice fabric and it is mostly used in ladies dress as it feel soft and flexible, light weight and elegant appearance, good permeability and draped, wearing elegant and comfortable. The chiffon fitted very popular with girls welcome. The chiffon fabric is woven into fabric, texture and feel’s so different and the price is less than silk. So it’s the best fabric for occasional dressing among women. Customized chiffon Hijabs and even gowns are available for Muslim brides in international online stores. The wide variety of scarfs, ready made Hijabs and long wedding gowns are sold in affordable prices on discounted price which are delivered all over the world on purchase. HOW TO CHOOSE RIGHT WHITE OUTFITS?